One of the major drawbacks of selective laser melting (SLM) is the accumulation of tensile residual stresses (TRS) in the surface and subsurface zones of produced parts which can lead to cracking, delamination, geometrical distortions, and a decrease in fatigue life. 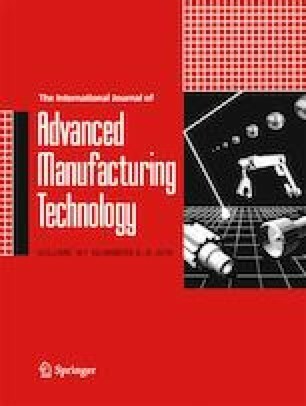 3D laser shock peening (3D LSP) is a novel hybrid method which introduces a repetitive LSP treatment during the manufacturing phase of the SLM process. In this paper, the ability of 3D LSP to convert TRS into beneficial compressive residual stresses and their subsequent effect on the geometrical accuracy of produced parts were investigated. Samples made of Ti6Al4V were manufactured with the 3D LSP process and treated with different processing parameters. Cuboidal samples were used for residual stress measurements, and the evolution of residual stresses was evaluated. Geometrical distortions were measured on bridge-like samples, and the influence on the final sample geometry was quantified. A significant improvement in geometrical accuracy resulting from reduced distortions was observed in all selected 3D LSP processing conditions. The generous support of PX Group to the LMTM laboratory is highly acknowledged. This work was financially supported by the CTI project n°25357.2 PFNM-NM.